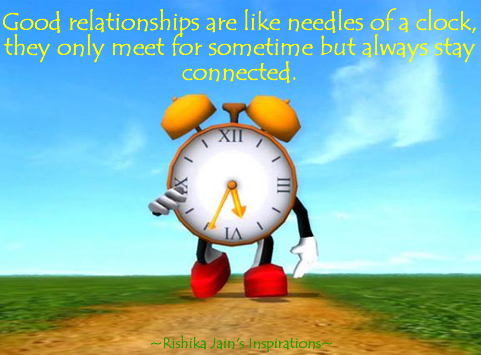 Good relationships are like needles of a clock……. Good relationships are like needles of a clock, They only meet for sometime but always stay connected . 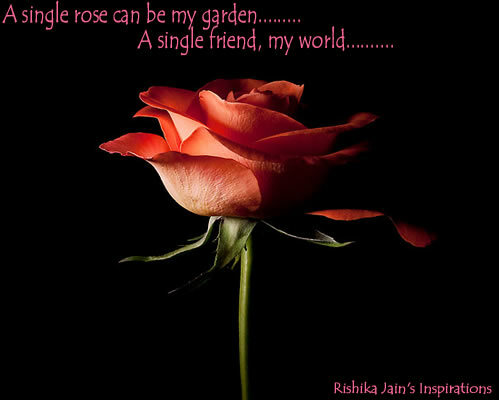 A single rose can be my garden……A single friend, my world…..Remember, When you are looking for a friend don’t look for perfection, just look for friendship…….. 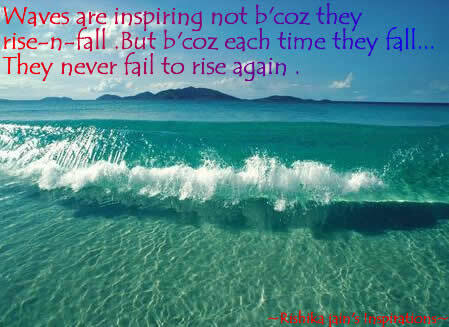 Friendship without self-interest is one of the rare and beautiful things of life Friendship….. 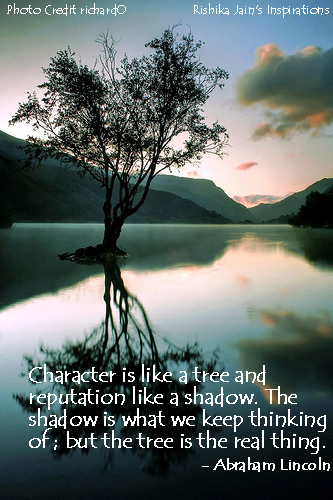 Character is like a tree and …. Character is like a tree and Reputation like a shadow. The shadow is what we keep thinking of but the Tree is Real Thing ~ Abraham Lincoln. Really, WORRYING does not take away tomorrow’s TROUBLES, It takes away today’s PEACE. 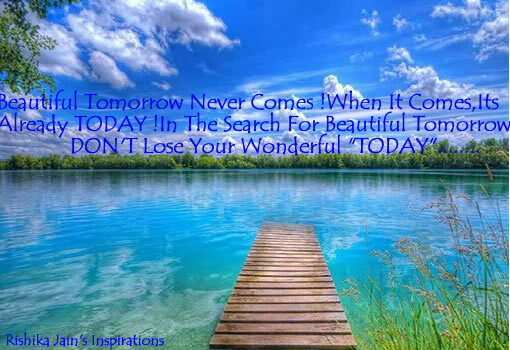 So, Don’t cry for what happened yesterday, don’t fear what happens today, dont expect anything from tomorrow…. Enjoy the moments….